Who likes visiting an optometrist? It’s an ordeal, done only when necessity drives us and honestly, selecting eyewear frames across a counter is not the best of experiences. 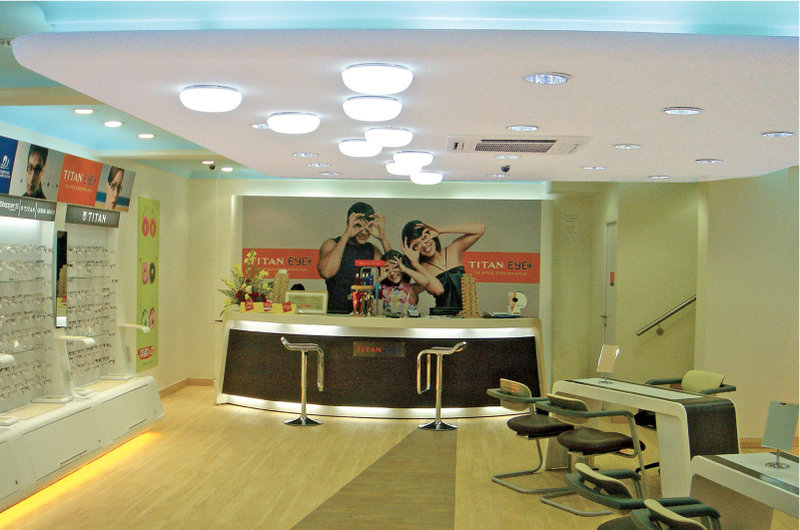 So when Titan came to us with their concept for an eyewear store, we had a personal motive to fulfill too. We wanted to completely disrupt the existing spectacles shopping experience and make it an engaging one instead of a chore. After doing some extensive user & shopper research, we established a 3 point approach to Eyewear retail. In an environment of traditional mom & pop eyewear stores, customers need to be convinced, hence any Titan retail experience has to build trust, provide style guidance and make the whole shopping experience browse-friendly. The retail brand created, rode on the legacy of Titan, as Titan Eye Plus. The customer journey needed to become transparent & welcoming. The stores were made browse friendly, where you could pick out your own frames, try them on, have a photo clicked and then compare all of them (while wearing your old glasses). Experts were introduced to consult about prevalent trends, style and technology to guide customers towards the best option. 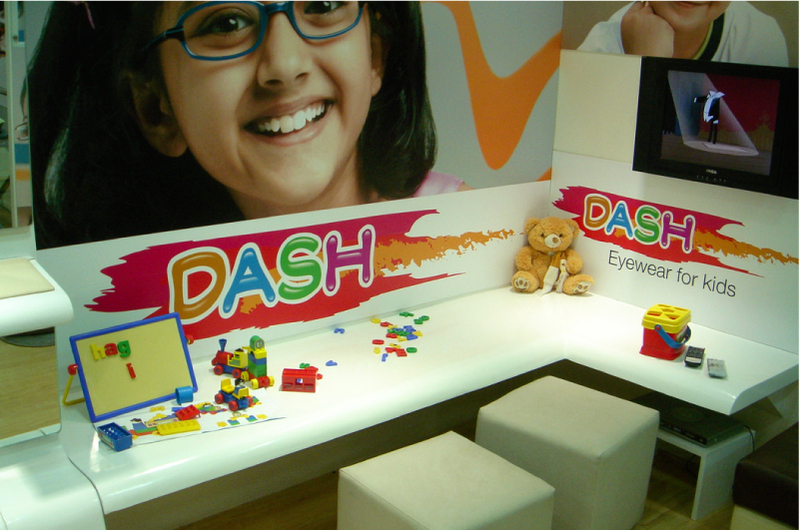 A cool optometrist area and eyewear service & repair zones were introduced. We worked on flagship stores, mid size format, small format as well as shop in shop stores. The over all experience was bound together through a brand language that reflected in the in-store communication, staff uniforms, shopping bags, frame branding and POSM solutions. Since 2007, when Titan Eye Plus was launched, our collection of eyewear has grown for sure! Till 2106 over 350+ stores have followed the brand guidelines and store livery experience across India.